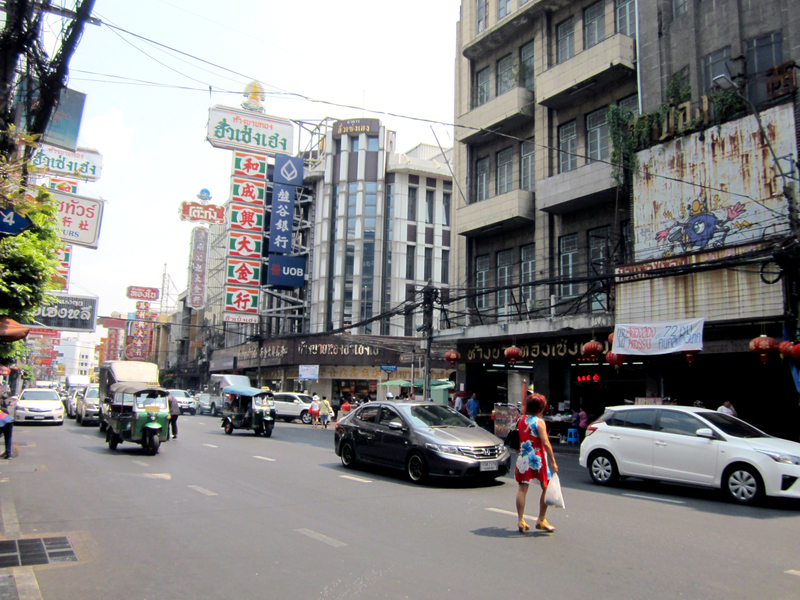 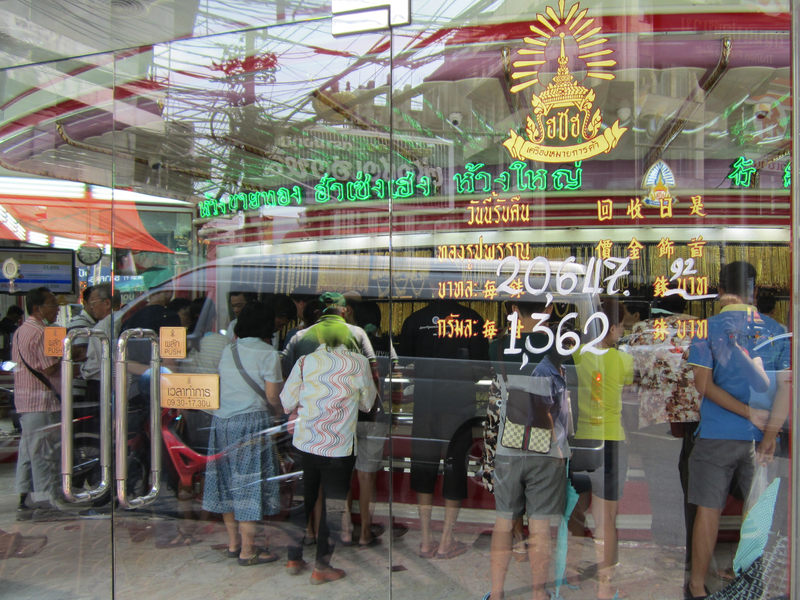 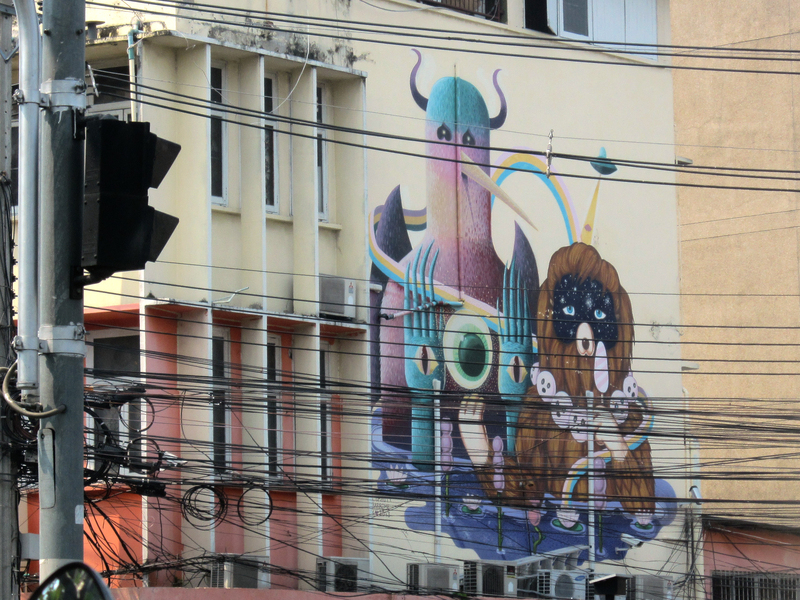 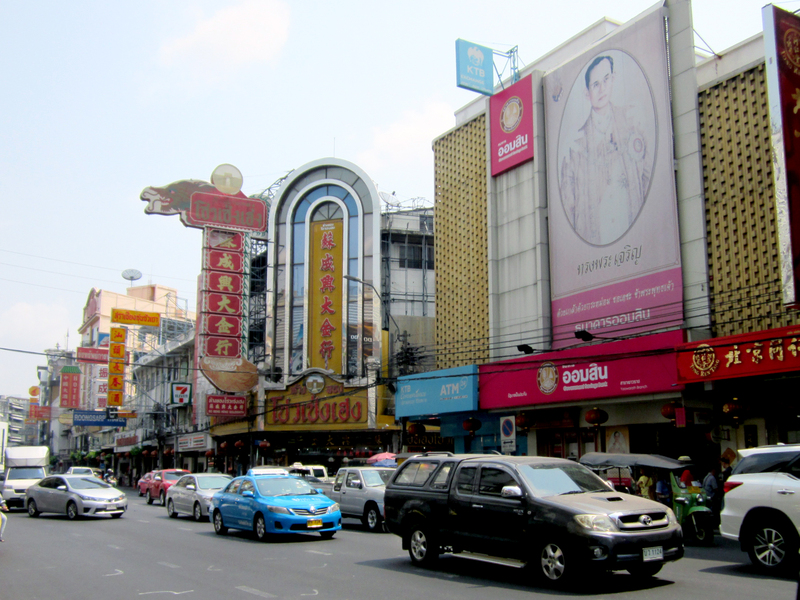 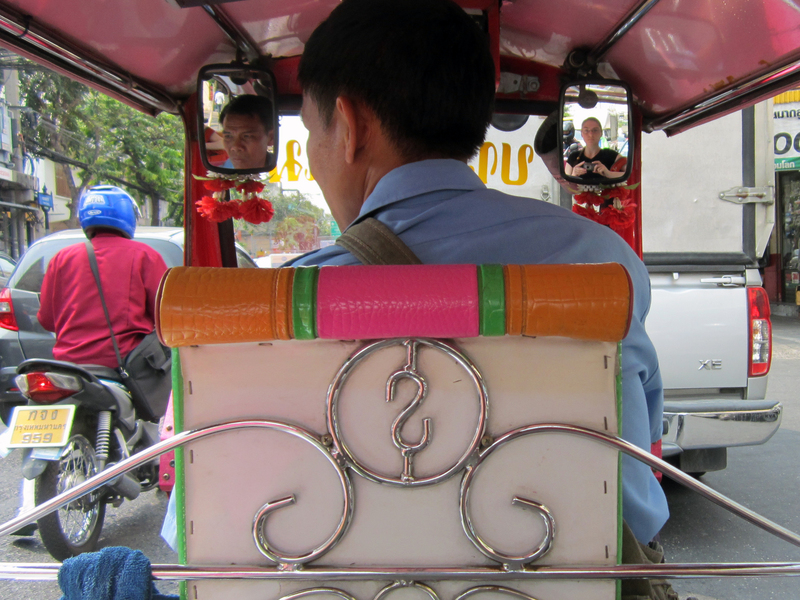 Below are two dozen photos of a weekend trip to Bangkok. 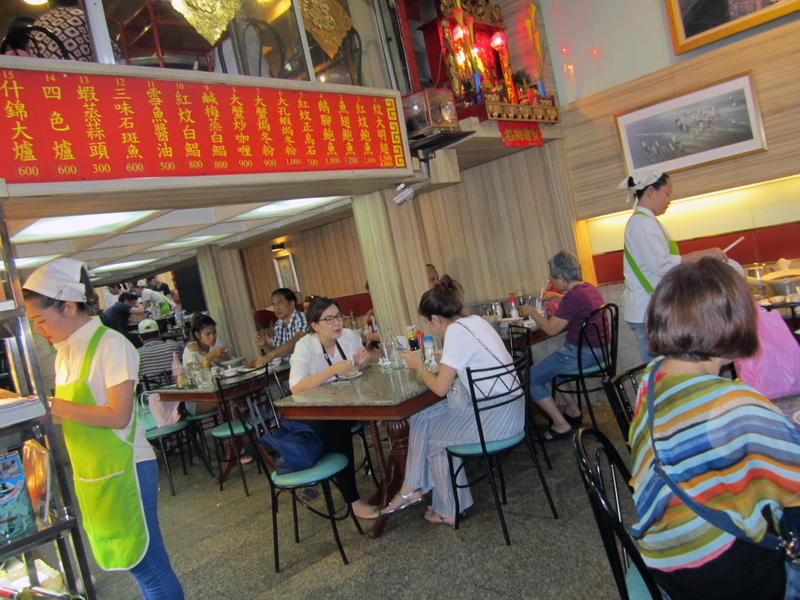 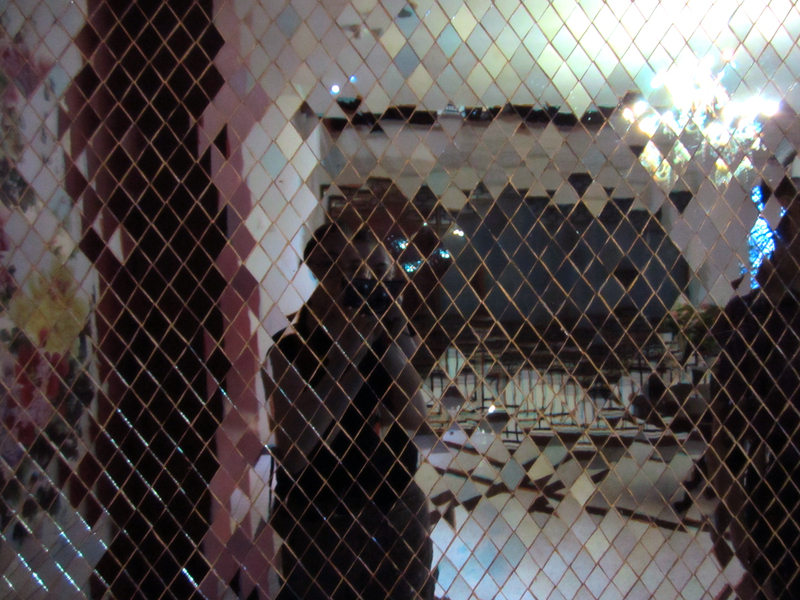 We stayed in Chinatown, tolerated the inevitable traffic, ate good Chinese and Thai food, visited the Suan Pakkad Palace Museum and window-shopped. 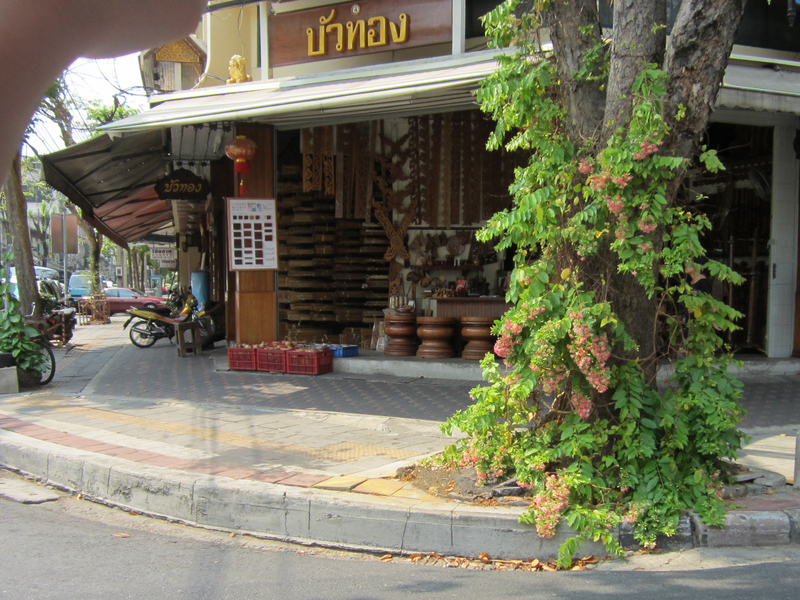 Out the window, I glimpsed a Ronald McDonald statue making the traditional Thai greeting (pressing his hands together); a business sign saying “Creative Accounting” that my husband finds particularly amusing; and a mural depicting two aliens in a lotus pond, one of whom looks like a wookie and is holding a popscicle (?!). 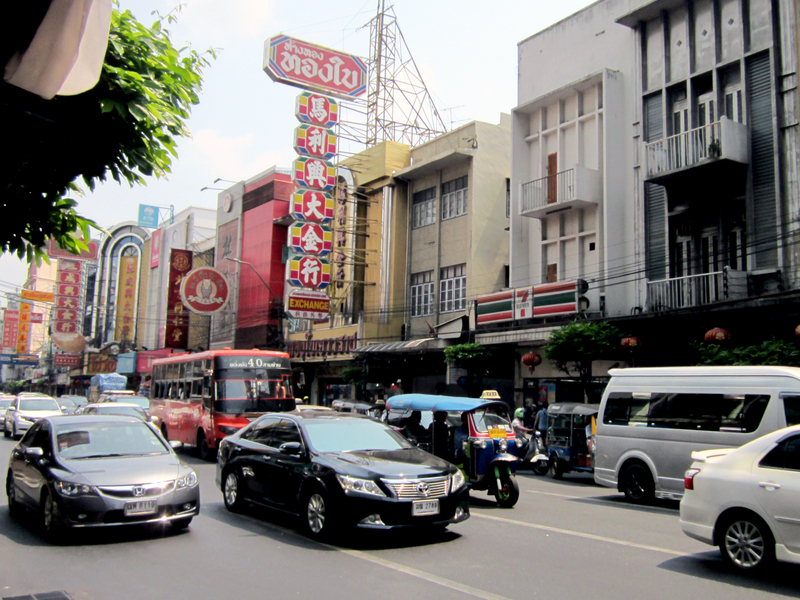 Vehicles and buildings in Chinatown. 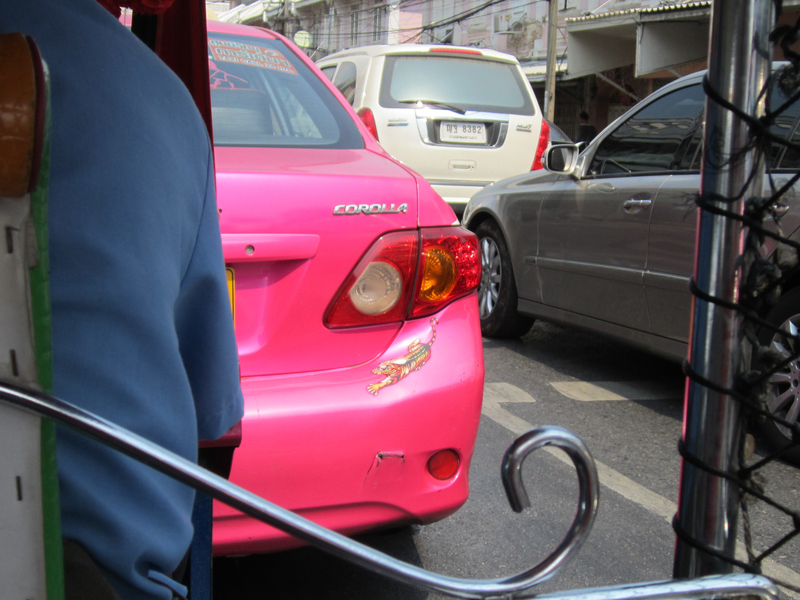 Pink taxi with tiger sticker. 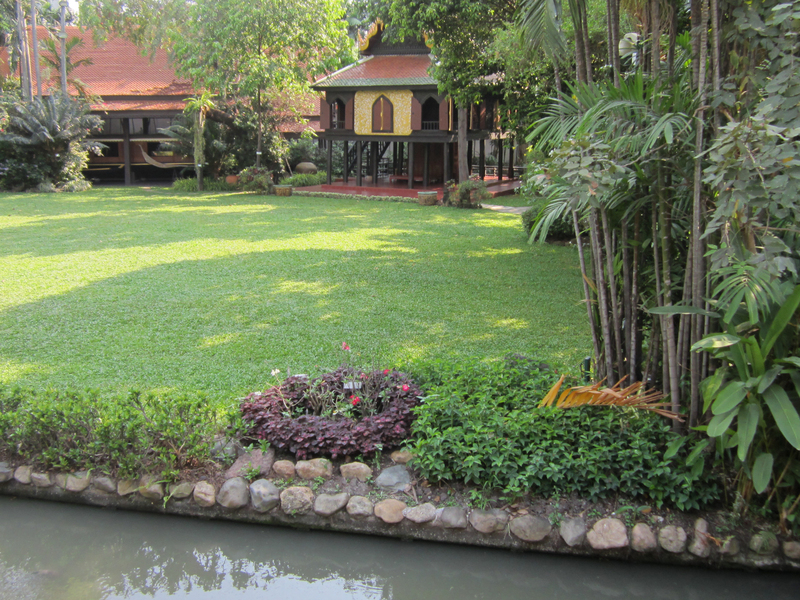 Suan Pakkad Palace museum grounds. 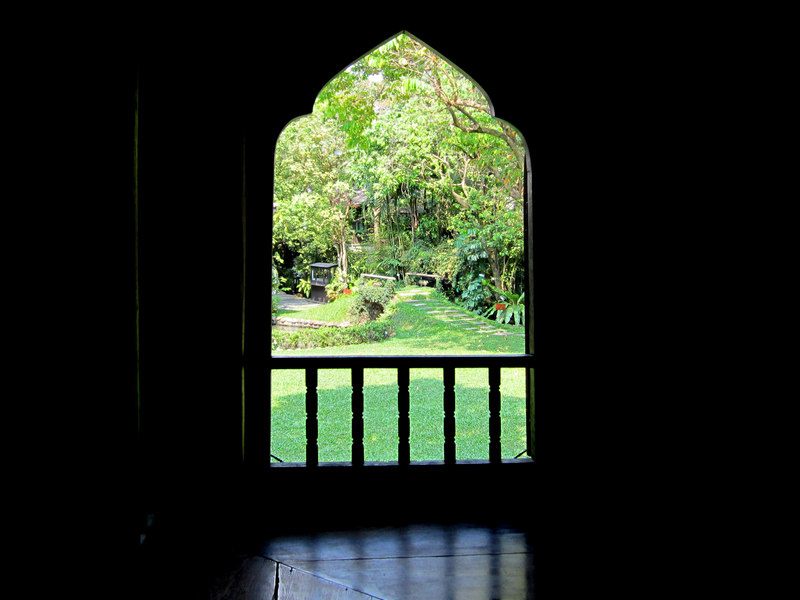 Looking out of the Suan Pakkad museum lacquer pavilion. 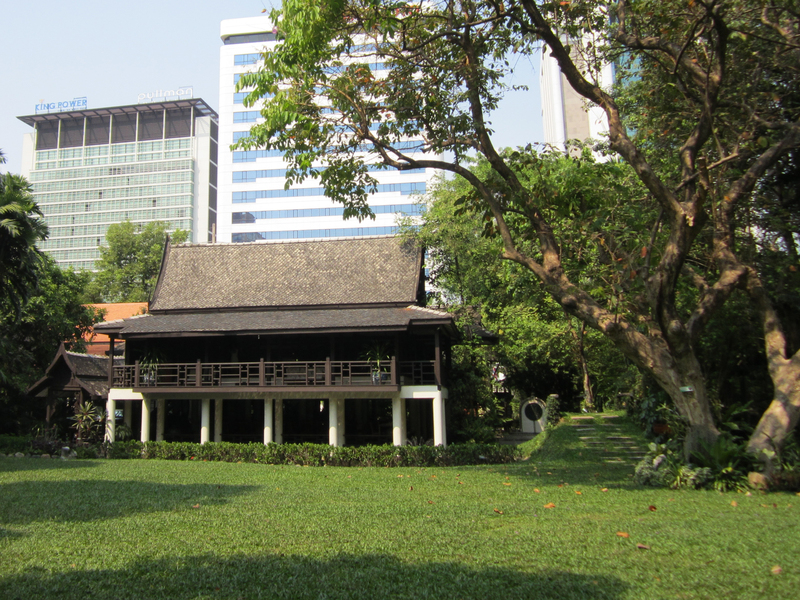 Suan Pakkad museum lawn and lacquer pavilion.